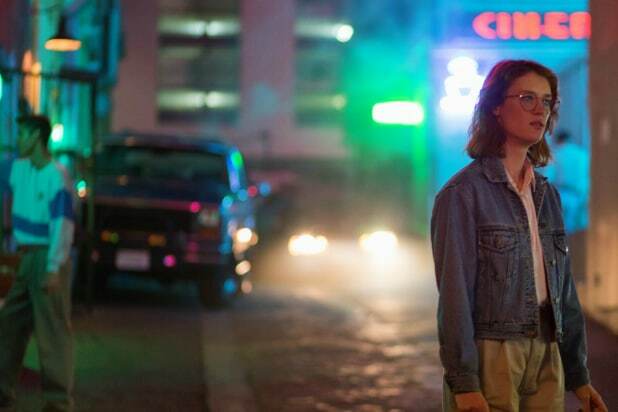 San Junipero is a lovely place for the characters played by Mackenzie Davis and Gugu Mbatha-Raw to meet: There’s an old movie theater, soft neon lights and romantic, rain-swept streets. Off the main drag are dunes and craggy beaches. Where is this magical place, where Belinda Carlisle’s “Heaven Is a Place on Earth” blasts through nightclub speakers for all eternity? We assumed somewhere in central or northern California, because of the weather, topography and architecture. Santa Cruz? Pismo Beach? “Junipero,” after all, recalls the name of Father Junipero Serra, the missionary all California schoolchildren are taught about in elementary school — the one who built Catholic missions. The story goes that he would supervise construction of one, then walk a day, then begin another — so that future travelers would always have somewhere to stay. It turns out the real San Junipero is … Cape Town, South Africa. Moonlighting Films, the South African filming services company that worked on the episode, confirms the location — and that another Season 3 episode, “Nosedive,” shot there as well. Also Read: 'Black Mirror' Fact Check: Can Hackers Watch You Through Your Camera? Should you visit Cape Town? If you can. The port city on South Africa’s southwest coast, on a peninsula beneath Table Mountain, is rich not only with natural beauty but also history. Off its coast is Robben Island, where Nelson Mandela persevered for 27 years before attaining his freedom and ending apartheid in South Africa. There’s something just and beautiful about the fact that an episode filmed in Cape Town centers on an interracial relationship — and that no one even mentions that it’s an interracial relationship.